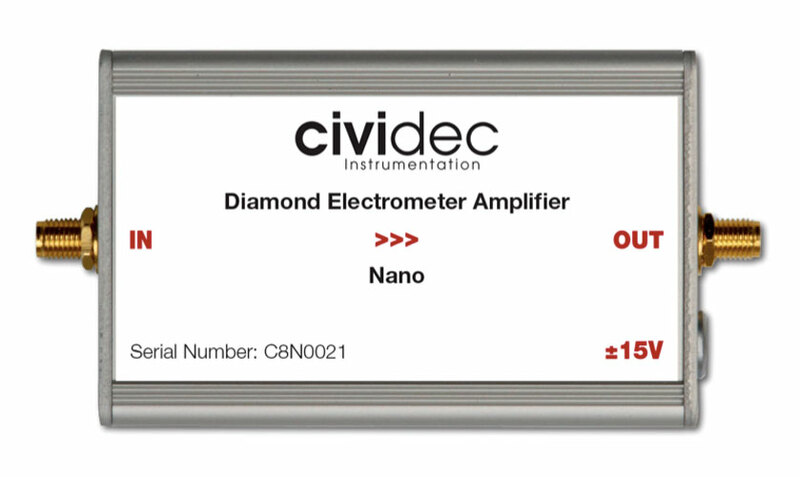 The C8-Nano Diamond Electrometer Amplifier is a low-current transimpedance amplifier with excellent input sensitivity from ±1000 nA. It is used for the Diamond XBPM for the detector readout in the nano-ampere range. The C8-Nano is used at Synchrotron Light Sources for the readout of the Diamond XBPM.